Probiotics are often referred to as the "friendly bacteria" that live in the human gut. They can play a variety of important roles, including the production of vitamins and the prevention of certain intestinal disorders. These bacteria, which are essential for maintaining good health, can help decrease the bad bacteria in your gut that can cause infection or inflammation. Probiotics can be found in certain foods, including yogurt, soy drinks, miso, tempeh, sauerkraut and pickles. In addition, dietary supplements containing probiotics are available at health food stores and vitamin shops. Within the intestines exist two families of probiotics, known as lactobacillus and bifidobacterium. Each of these types of bacteria has been applied medicinally to improve various intestinal conditions, including Crohn's disease and ulcerative colitis. In addition, probiotics are often supplemented for treating diarrhea and restoring a healthy balance of bacteria in the gut. 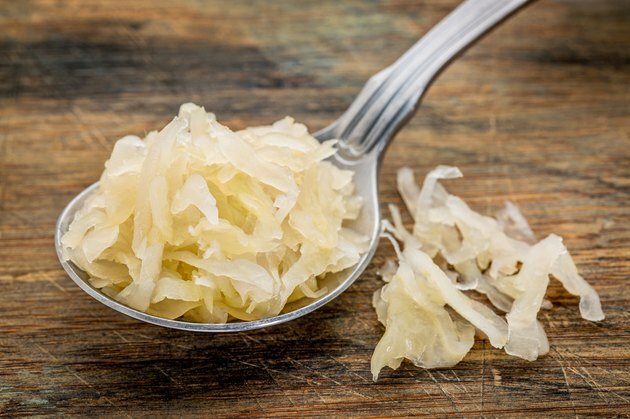 The Cleveland Clinic notes that while it is not necessary to consume probiotic-containing foods or supplements, these dietary additions can be helpful in assisting the good bacteria already present in your gut. They can provide assistance by decreasing the number of bad bacteria while helping to restore balance between good and bad bacteria in the gut and to keep your body functioning properly. There are times when taking probiotic foods and supplements may be most beneficial. According to an article published on the U.S. Department of Agriculture website, certain events can change the balance of bacteria in the gut -- most notably, prolonged treatment with antibiotics. Because antibiotics are unable to distinguish between helpful and harmful bacteria, a long course of antibiotics may result in the death of good bacteria and the subsequent overgrowth of bad bacteria. Consuming probiotics may be able to help restore balance. According to MedlinePlus, the probiotic supplements lactobacillus and bifidobacteria are likely safe when used as directed. Potential side effects can include intestinal upset, bloating or gas. Pregnant or breast-feeding women and those with weakened immune systems should avoid probiotics. If using probiotics concomitantly with antibiotics, be sure to take probiotics at least two hours before or after antibiotics, as antibiotics can reduce the effectiveness of probiotics. Do not take lactobacillus while taking immunosuppressant medications, as this can increase your chances of getting sick. Bifidobacteria should not be taken by individuals with weakened immune systems, as they can cause infections.